An illustrated biography of Churchill's life away from politics. As a cigar smoker, a champagne drinker, a painter, and even as a dresser, Winston Churchill had extravagant personal style. 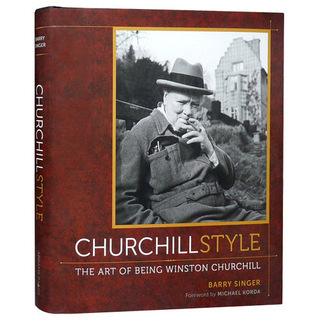 CHURCHILL STYLE: The Art Of Being Winston Churchill shares the private world that Churchill created for himself. Written by Barry Singer, the founder and longtime proprietor of Chartwell Booksellers, with a Foreword by the legendary author and editor, Michael Korda, CHURCHILL STYLE lushly savors the many facets of Churchill's day-to-day life with scores of color photographs, illustrations, and documents - many from Churchill family archives - that have never been published before. It really is a Churchill biography like no other.